In our last two entries we’ve talked about terrorism in general and Iran specifically. Comments have been made and opinions strongly stated. In response to our exploration of logical fallacies and how they have influenced US foreign policy, Ma Nishtana wrote supporting President Bush’s willingness to call a spade a spade – or in this case, to call terrorism by it’s true name: evil. We agree Ma Nishtana, evil is evil, however deciding who exactly is evil and how that evil should be dealt with is infinitely more complex than making a statement. Perhaps the willingness to vocalize truths is a vital first step. However, while we recognize the strength in Bush’s naming of evil, we don’t think a “simplistic” view is ever beneficial. Because, scary as it may sound, to fight evil, we need to understand it. We need to comprehend how it develops and what surrounds evil to develop an effective strategy to combat it. There is very little in life that is black and white. Even look at what took place during the Second World War, probably the closest example we have to the clearest dichotomy of good and evil, black and white. 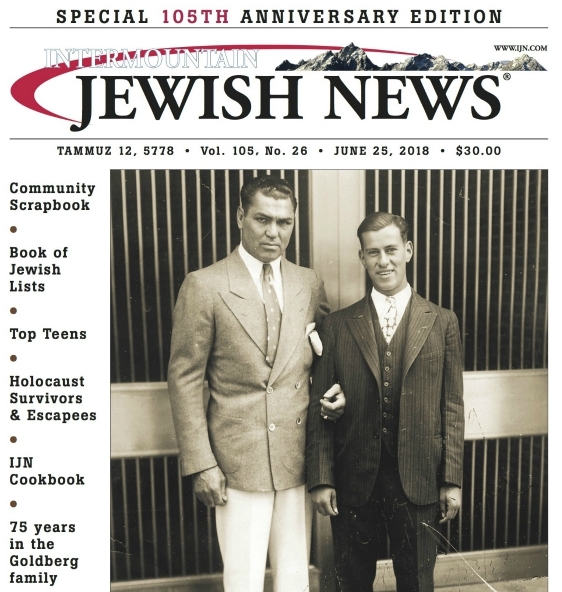 Among the Jewish inmates imprisoned in concentration camps, an elite (and we use that word realizing how inappropriate it really is; how can there be any kind of elite in hell?) existed. These were Jews and other inmates that had power over other inmates and used the power cruelly and horrifically. The story of this unspoken group is told in the film The Grey Zone. One can certainly argue that it was circumstance that caused these people to act the way they did, and God help us should we ever know the position they were forced into. It does, however, reflect the fundamental truth that life is rarely, if ever, simple. And humans, depending on their circumstances can act in an abhorrent manner. Irish Pub raises a new question, as to whether so-called “rehabilitation” exists for terrorists. Traditionally, there are two views to incarceration: one is punitive, the other rehabilitative. Usually when one commits heinous crimes, such as terrorism on a global scale, we tend to the punitive. A terrorist crime is the most repugnant: it attacks our fundamental value of humanity, it attacks life indiscriminately, destroying child, parent, the elderly alike with a frightening absence of compassion. A terrorist crime certainly deserves punishment on the highest level. The question, however, does remain: can a terrorist be rehabilitated? Even if a criminal is serving a life sentence, as Irish Pub wishes all terrorists would, could he or she still be rehabilitated? We say yes, but only because it has happened. We’re not sure if the pseudonym Irish Pub was used intending to get us thinking in this direction, but several members currently serving Sinn Fein in Northern Ireland’s government were at one point terrorists. Martin McGuinness, the Deputy First Minister, was an active member of the IRA and is now devoted to peace and progress; he has even consulted on negotiating between the Shi’a and Sunnis in Iraq. So yes, we believe it’s possible. We believe that for some, the desire to stop the killing and simply live life at some point overtakes the political and emotional beliefs. Others, however, are so filled with evil that they continue to fight with no regard for their own people’s humanity. We mentioned earlier the Second World War. The Germans had essentially lost the war more than a year before they finally surrendered. By the end, Hitler was putting teenage boys into the front lines since most of his soldiers had died in battle. And of course, as we so painfully know, the indiscriminate slaying of Jews continued – even though the war was lost. Sometimes the evil is so strong that there is no chance for “rehabilitation” or “help”. Sometimes the evil must be destroyed. We are living in times in which these choices must be made. How do we make these decisions? How do we decide when evil is evil, when circumstances must be accounted for, when a person has genuinely reformed? Your mention the film “The Grey Zone”. What about what we just read this past Motzei Shabbat in Eicah (Lamentations): “merciful mothers cooked their children.” I know some people interpret this metaphorically, after all, who would want to interpret it literally? But if it is indeed literal, it’s further evidence that people’s behavior can alter drastically depending on circumstance.